Many Israeli pundits have said recently that the conflict between Israel and the Hizballah cannot end in a teiku - למדינת ישראל אסור להפסיק בתיקו (this version by Uzi Dayan.) In modern Hebrew a teiku תיקו refers to a tie in a sporting match, but many of us are familiar with it as the term describing an unresolved dispute in the Talmud (more about that here). 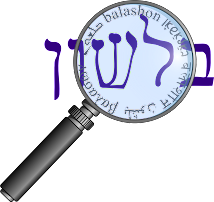 A very popular etymology for the term claims that the word is an acronym for "תשבי יתרץ קושיות ובעיות" - "Tishbi (i.e., Eliyahu HaNavi) will answer challenges and problems". (This creates an interesting mental image for some new immigrants here who see Eliyahu determining the winner of all the soccer matches ending 1:1.) However, this is a relatively late midrashic etymology. The word actually comes from the Aramaic teikum תקום (or תיקום) - meaning "it (the question) will stand (and not be resolved)". What happened to the final letter mem? It is fairly common for words in Aramaic to lose the last letter. Almagor-Ramon gives the example of תו לא (no more) originally being תוב לא (in Hebrew שוב לא). In this online article, Kutscher gives more examples, and explains that this phenomenon is due to the influence of Akkadian (the language spoken in Babylonia/Iraq before Aramaic took over).